This box is for use to create a 2 way split screen. 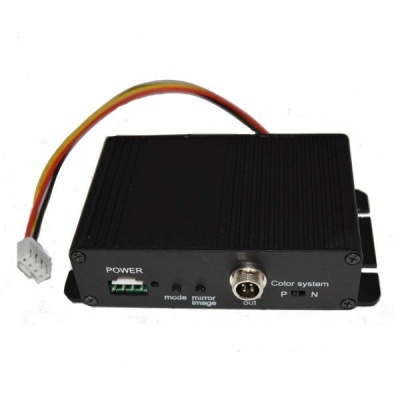 It can also convert the signal between PAL and NTSC or MIrror and Normal views. 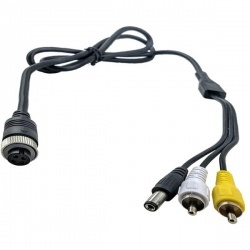 It comes complete with a short lead to connect to a suitable monitor that has 4 pin connectors. An optional CAB002F can be purchased for use with monitors with RCA connectors.